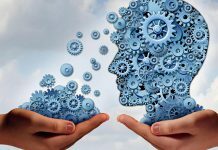 Bookmaker William Hill has finalised a four year agreement with NeoGames to supply a key component of its proprietary US platform – the player account management (“PAM”) system. The NeoGames PAM currently powers over 80 iGaming brands, including the largest online operation in the US, the Michigan State Lottery, and processes more than 300 million bet transactions a month. It is live with lottery customers in Michigan, Virginia, and New Hampshire and supports 11 different regulatory jurisdictions across Europe and the US, whilst its open platform is connected to dozens of content providers through multiple RGS hubs. 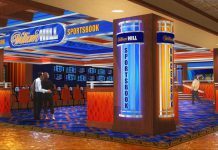 Philip Bowcock, Chief Executive of William Hill, said: “This is another important step in our progress in the US. The NeoGames PAM is already more feature-rich than any other sports-betting platform live in the US. It is built according to modern technical standards, and is proven at scale in the US. 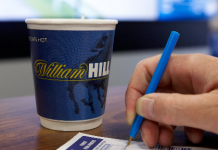 The parties started work on a bespoke PAM solution for William Hill US in June 2018, and have signed a long term agreement, now that the project is gaining momentum. Under the terms of the deal NeoGames is providing William Hill with a dedicated team, 100% control of the road map, and exclusivity over features developed for William Hill. The parties have also agreed an option for William Hill to buy a permanent licence to the source code, and transfer in its dedicated teams. William Hill is the leading sports betting operator in the US and currently the only company to be taking bets in all US states where sports betting is legal – Nevada, New Jersey, Delaware, Mississippi and West Virginia. 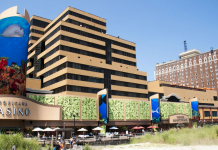 Through casino partnerships agreed to date, William Hill’s reach extends to 15 states where sports betting is either legal or sports betting bills are tabled. 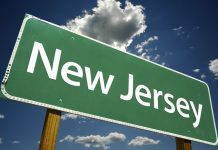 William Hill is already live with an app in New Jersey – based on the back-office technology used by its business in Nevada, and front-end technology used in the UK. 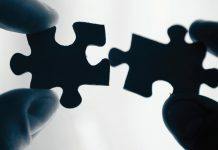 Its deal with NeoGames is the first announcement related to the development of its new proprietary platform for the US, which is earmarked for launch in 2019. NeoGames CEO Moti Malul added: “We are delighted to announce our latest deal in the US, showing the proven appeal of our market-leading technology. As well as being the market leader in sports-betting in Nevada, William Hill has been the fastest mover since May, in achieving market access in the early mover states. We are already progressing well with developing a bespoke player account management system for them, which will underpin their product differentiation and leading customer experience in the US in the future”.